If you haven’t figured out what to get your sweetheart for Valentine’s Day, have no fear. Here are 12 great suggestions for the herbivore in your life. If you’re single, think about gifting your best friend some sweets or a make them a fancy dinner with the featured recipes. Valentine’s Day is all about love, so share it with that someone special—whoever that is! 1. Order Cinnaholic’s Valentine’s Special. These gourmet cinnamon rolls are to-die-for and this special includes an adorable card with a cute puppy on it. Ship these bad boys to anywhere in the US and watch your dearly beloved jump for joy. Use code VALENTINE2014 to get 25 percent off your order. 2. 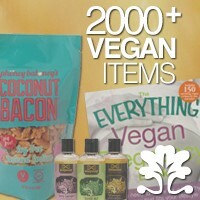 Send a box of Vegan Treats’ chocolates. The bakery in Bethlehem, PA, is offering delightful chocolate boxes filled with caramel cookie bars and white chocolate pretzels, even offering a gluten-free box. Hurry before these sweets are sold out! 3. Treat him or her to a sushi cooking class. The lovely gals at Spork Foods in Los Angeles are master teachers. What’s a better date night than learning to make sushi rolls such as a California Roll with House-made Vegan Mushroom “Crab”? 4. Get local flowers delivered. Farmgirl Flowers in San Francisco delivers beautiful fresh, local flower arrangements by bicycle wrapped in recycled coffee burlap bags. Don’t live in SF? Search Yelp for your local florist and support a nearby business. 5. Give them a boozy treat. Desiderio Chocolates, an online Etsy shop, offers a special Valentine’s Day assortment with vegan caramels and Dragon’s Milk stout and Beer Barrel Bourbon ganache chocolates—the perfect gift for the beer lover in your life. 6. Wine and dine your love at Candle 79. The elegant NYC restaurant is showcasing a four-course prix fixe menu featuring dishes like saffron ravioli with nut cheese and a smoked grape tomato sauce and for dessert, a brownie sundae complete with salted dulce de leche ice cream. Drool over the menu here. 7. Make a dark chocolate pie. This divine pie from popular blogger Oh She Glows is nestled in an almond crust and smothered in a vanilla strawberry compote. Earn instant love points. 8. Warm up with some hot cocoa and chocolate bark. This perfect package of vanilla-kissed strawberry bark, raspberry chocolate hearts, and drinking chocolate from Allison’s Gourmet is the ideal post-dinner dessert date at home. 9. Go all out with a truly gourmet five-course dinner. Millennium restaurant in San Francisco is offering a decadent prix fixe menu. The menu isn’t online since the restaurant bases its dishes on seasonal ingredients, but be sure to make reservations for that special night. 10. Put a bird on it. Per the Portlandia sketch, this heart-shaped box of indulgent vegan truffles from Sjaak’s features a pair of love birds on the outside of the box. Super cute chocolates for your cutie! 11. Feed your sweetie homemade gnocci that you don’t have to make. Great Sage in Clarksville, MD, is serving roasted garlic gnocci with basil pesto as part of its Valentine’s Day menu. 12. Cook a simple but spectacular dinner at home. Nothing is more loving than a home-cooked meal. Try this Buzzfeed recipe for Cauliflower Steaks over a cauliflower-almond milk purée and multicolored carrots by the site’s food editor. Post-dinner, cuddle up and swoon over 30 adorable rescued greyhounds. 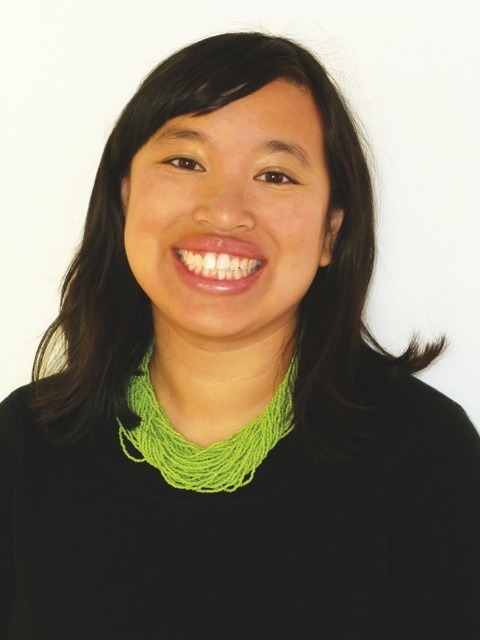 Jennifer Chen is a freelance writer and editor, playwright, and middle-grade author who hopes to spend Valentine’s Day at Crossroads in LA. She lives in Los Angeles with her TV writer husband, three-legged cat, adorable pug, and huggable yellow Lab.